Previously, we've gone over design, performance and backup target considerations. Let’s continue our discussion with thoughts on network and restore targets. The next thing to look at is the network. Ideally, you’ll have 10 Gbps or better in your backup targets (I normally leverage dual 10 Gbps). 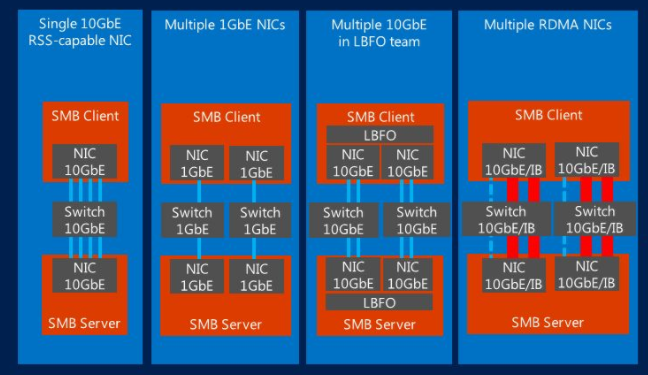 On the backup source, you can get away with less but then you really need to leverage some form of bandwidth aggregation such as NIC teaming with LACP or SMB Multichannel. You could use 4x1 Gbps LOM ports for this. 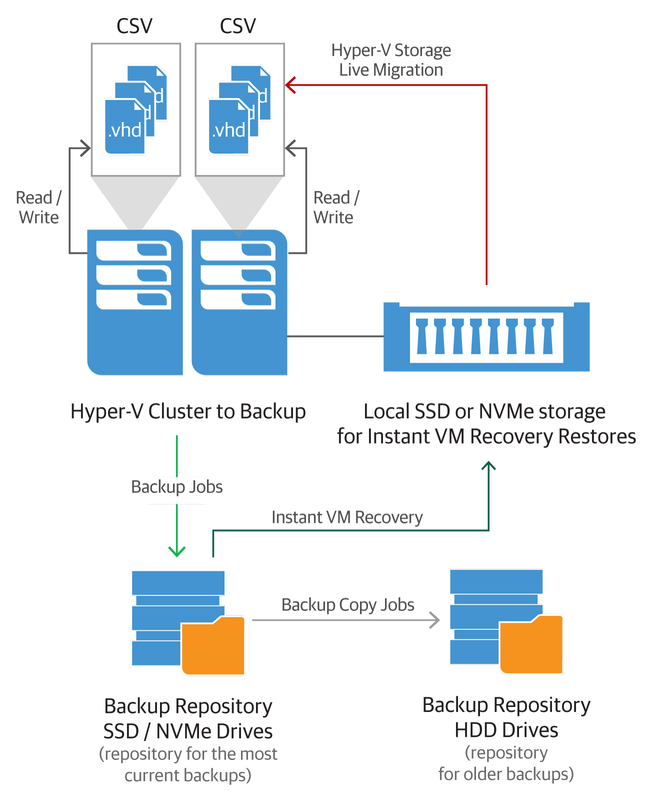 You can have multiple backup jobs for multiple Hyper-V hosts / LUNs write to the same backup target. Assume you have 10 hosts with 4x1 Gbps aggregated bandwidth running one or more backup jobs and you’ll see that if you can fill those, you can easily fill one 10 Gbps pipe on the backup target.